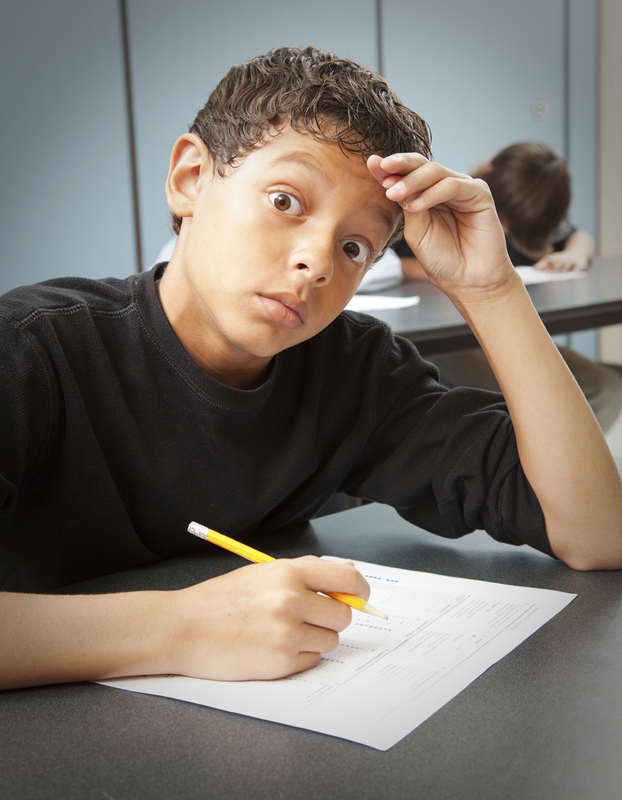 Standardized Testing: Should We Opt In or Opt Out? Although No Child Left Behind is now defunct, standardized testing is not behind us. This spring in Washington state, students will take two Smarter Balanced Assessments (known as the SBA or SBAC) that align to English and Math Common Core State Standards. Why all the opt-out talk last year? Washington state has long allowed families to excuse their children from testing, but the Opt Out movement picked up speed last year with the initial SBA rollout. More than 96 percent of all students in grades three through eight took the test. Many districts also gave the test to 10th graders, allowing them to bank their scores and check off the graduation requirement a year early. Although it was federally mandated that schools give the SBA to 11th graders, it was not a graduation requirement. Therefore nearly half of last year’s 11th graders opted out of testing. The 52,690 students who didn't take the SBA included the entire junior class at Nathan Hale High School in Seattle. Jill Hudson, principal at Nathan Hale, explained that the school held several sessions last year to help students and families understand the test, but ultimately, "you can't really fool 16-year-olds into taking tests they don't really need to take." Although the majority of those 16-year-olds weren't trying to make a political statement, they nonetheless added energy and awareness to the Opt Out movement. But when the SBA becomes a graduation requirement in 2017, high schoolers will undoubtedly take the test and the Opt Out movement will likely shift to the elementary and middle school level. According to the state, opting out is legal. The Office of the Superintendent of Public Instruction's (OSPI) states: "A parent may refuse to have his/her child take state tests. However, it is not recommended. A student in grades three through eight who doesn't take a state test may miss out on having learning issues identified sooner rather than later." The state is under pressure from the federal government to mandate that all students be tested. Just last December, the U.S. Department of Education sent a letter to Washington and several other states with high opt out numbers reminding state officers that 95 percent of all students are required to be tested. The letter included warnings of sanctions — including the withholding of federal funding — if high opt out numbers continue. Why is a 95% participation rate such a big deal? The U.S. Department of Education wants testing data for federal accountability purposes. This data attempts to track a variety of factors, from teacher quality to achievement gaps in different socioeconomic groups. As such, they want the highest populations possible to get the strongest data. However, the penalties for low test scores can be severe. If testing goals aren't met, schools can e labeled as "failing" and must undergo improvement plans, which can ultimately result in a school closure or mass layoffs. As such, in the early days of standardized testing, schools would inflate scores by advising low-performing students to stay home on testing day. That's when the 95 percent rule was established. But if students have an option to opt out, the issue of low attendance returns. Low-performing students can again be taken aside and advised to opt out, thus invalidating the whole process. That's one of many reasons Seattle parent and educator Michael Peña has his own children opt out of state testing. A parent of three, Peña wants the whole process of standardized testing to be invalidated because, he says, it's already invalid. Teachers don’t have a lot of flexibility in what they teach any longer because they are required to prepare kids for this battery of tests … This is my way to say enough. For the past three years, Peña has opted his children out of federal and state testing. "I choose to opt our kids out of these tests because I don’t agree with the standardization of learning and teaching," he says. "Teachers don't have a lot of flexibility in what they teach any longer because they are required to prepare kids for this battery of tests … This is my way to say enough." Peña points out that non-tested subjects like social studies and the arts are pushed to the back burner and that test results aren't useful to teachers as they're provided within the same school year. He also believes that test scores are indicative not of teaching quality but socioeconomic status. "The more money your family makes, the more likely you're in a higher quality school district, and the more likely [you'll have] high test scores," he says. "It is evidence of … broader societal issues, not what's going on in our schools." Peña encourages other parents to opt their children out of standardized tests that aren't required for graduation. "We have to take a stand to reclaim the point and purpose of our public schools. We have to remember that public schools are public institutions, and we get to have a say in what happens in their hallways every day," he says. "Nationalized standards and assessments are hurting all of our children, but we can send a message to those who we elect to represent us by opting out." Although most parents agree there is too much testing, very few opt out their elementary and middle school students. There are several reasons why. First, many parents believe that the high stakes of testing lead to better schools held to an exacting but necessary standard. It's a touchy topic but there's obvious value in data. It's hard to make decisions about schools, teachers and curriculum without some measuring stick. Some also appreciate seeing how their children's scores measure up against those of their peers. Of course, this doesn't always have the intended effect. Shawna Murphy, who has two children in Seattle Public Schools, discusses her daughter's experience taking the MAP test in elementary school. “Her teachers would show me her scores and they would laugh and say 'Don't worry about it. This is obviously ridiculous,'" says Murphy. "But the kids all know their scores and everyone else's too. They're discussed, shared and publicly treated as important statistics." Other parents decide to opt in because standardized testing is just the way of the world. They're used in college and sometimes even to get a job. So, parents figure, there may be some value in having their children get testing experience. Of course, says Peña, you don't have to take the test to get that kind of experience. "Daily class work is so driven by these tests [students will], sadly, have plenty of exposure and practice," he says. Standardized testing remains a controversial topic but research is key. I f you're curious, take a practice test for yourself. Don’t worry — your high school diploma won't be rescinded if you fail. Note: The SBA (in math and English) and the Science MSP (Measure of Student Progress) or EOC (End of Course Exam) are the only federally mandated tests. However, different schools and different districts may have additional tests, such as the Beacon or MAP test in Seattle schools. Families can also opt out of these tests, although they may affect placement in special or advanced learning programs. It's always a good idea to talk to your child's teacher and counselor to learn more.